A quick recap of Crassus Part 1 – 3: As Crassus became incredibly wealthy in Rome; his political aspirations never came to fruition. However, when he personally financed the force that put down a massive slave rebellion, he believed his time of glory had arrived. He was wrong. His one-time friend, but eventual rival Pompey was given the credit and Triumph. Crassus had had enough….. Even though he was not given glory he so long desired, Crassus’ time at battle were not a complete waste. His army had become battle hardened and experienced. Plus, he developed the perception of an competent field commander. After the defeat of Spartacus, Crassus looked for opportunity and seized whatever power he could. He wisely did not disband his army and camped outside of Rome. This was a clear message to the senate that they had two choices; 1) Give him a political position or 2) Army outside their walls would attack. The Senate chose option 1: Crassus was give a consulship which was shared with Pompey. After more political maneuvering, Crassus was made governor of Syria for 5 years. Syria was somewhat of a mixed bag for Rome: It was rich in natural resources and had healthy trading routes, however the neighboring Kingdom of Parthia had always been a thorn in Rome’s side. The Parthians had a powerful military centered on a strong cavalry. The Roman military always had its issues against them. Crassus saw his governorship of Syria as a way to kill two birds with one stone. He planned to get even wealthier off the territory and he would be able to launch military campaigns against Parthia for the military glory he so desperately desired. When Crassus arrived in Syria he wasted almost no time. He raised an Army, called his veterans into service and headed eastward to fight the Parthians. However, Crassus declined their offer. To this day historians don’t know why. He was not in terrible health, there was no rush to take the Parthians (he was the one invading them). The invasion was completely on his own accord. Historians speculate that Crassus expected a trap, but the Armenians had not really given him a reason to believe so. There was no history of treachery with the Armenians. So instead, Crassus then marched his 50,000-man army into enemy territory with no backup and limited knowledge of both the land his was invading and army he would inevitably face. As Crassus marched through Parthia, a small all cavalry unit of the Parthian military attacked them. The Parthians first attacked with horse archers so Crassus ordered his men to form the testudo (the popular shield turtle you’ve seen in movies). He sent his son and his scouting calvary to chase off the attackers. However, his son and his subordinate units were surrounded and instantly killed, by the Parthian heavy calvary. When the dust settled Crassus saw his son’s head on a spear. The Parthians then began raining arrows down on the Romans. Crassus hoped to keep his men in the Testudo and simply let the Parthians run out of Arrows. Unknown to Crassus, the Parthians had a good supply line of arrows and kept them coming the entire day. By mid-day Crassus was so demoralized and terrified he literally stopped speaking all together. He lost his son and now knew he was probably going to die. When nightfall came the Parthians withdrew and the Centurions took over and ordered everyone to march to the nearby city of Carrhae. The Romans left behind 4,000 wounded and lost 4 more cohorts marching through the night. Everyone except for around 50 Romans were killed. The surviving Romans made it to the city of Carrhae and got inside. By morning, the Parthians instantly surrounded them. Crassus was forced by his men to parley with the Parthians. He was killed in the meeting and the remaining soldiers were enslaved or killed. The Legionary Golden eagles were captured and as legend tells it, a few of them were melted down and poured down Crassus throat. His head was then used in Parthia in the Kings court as a puppet for entertainment. The enslaved men were sold east. They even found a Roman solider who looked like Crassus, made him dress like woman and paraded him through the streets referring to him as “Crassus and Imperator”. The loss at Carrhae was terrible for Rome. Close to 50,000 men were killed or captured. The invasion of Parthia was viewed as unnecessary, greedy and embarrassing. Plus, the defeat made the Crassus name synonymous with failure. It wouldn’t be until the reign of Augustus that the Legionary Eagles were negotiated back, and the bulk of the prisoners returned to Rome. Thus, ends the legacy of Crassus; a man who wanted to be so rich and powerful he ultimately suffered from his own hubris. Going into an unfamiliar territory against an unfamiliar foe with no real tactics to fight them. 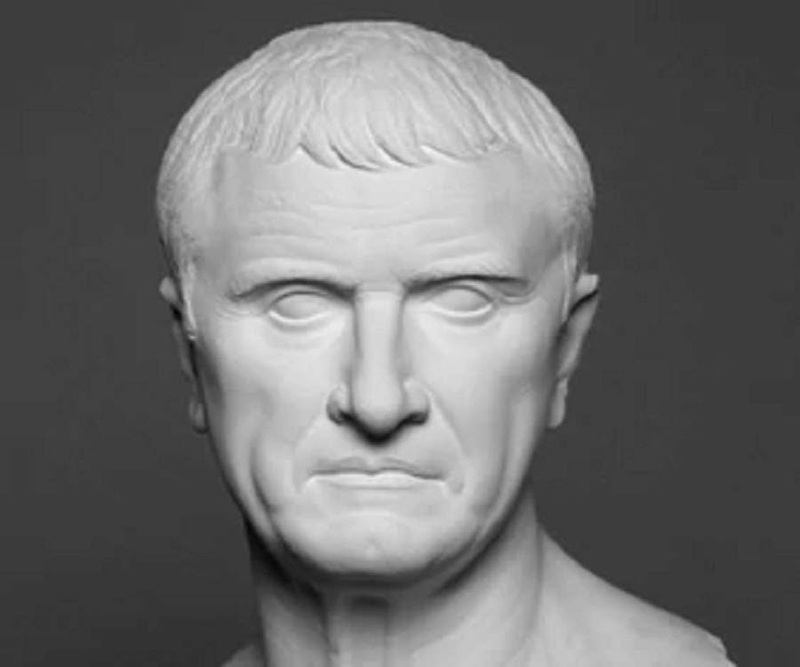 Politically however Crassus bold moves motivated by political and personal greed set way for the Roman Republic to turn to Empire…. Why didn't he pick up the extra troops offered? Why did he rush headlong into a land he didn't know? Was this hubris or was something else going on?? ?